How to Go From Nuthin’ to Success in the Transformation Business! The Six Figure Coach is for those rare individuals who are – or want to be – “transformation artists.” If you want to change the world by effectively transforming yourself and your coaching, this book is for you. According to Dr. Michael Craig, developing the inner skills to sell yourself and earning six figures actually IS the best way to change both the world AND yourself! 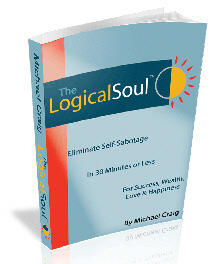 This is Dr. Craig’s classic work… the result of an epic 30-year journey to discover the source of miracles, healing and self-discovery from around the world. How to Quickly and Easily Condition Your Mind for Massive Success! 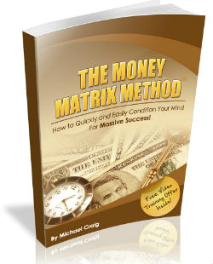 In this powerful book, Dr. Craig lays out his discovery of “The Money Matrix”™ and why each person contains a unique matrix that can either attract money… or consistently push it away. He also shows you – step-by-step – how to find the hidden decisions that make up your own matrix, and transform your inner conditioning fast! The Remedies of Pachili contains all the elements of a good story that draw you in from the first page. This attraction, however, is merely a pretext to capture and transform the reader by the mere reading of it. Love, anger, fear, disease, life, death, appearance, and transformation – all take on gut-wrenching qualities throughout this book that speak to the Soul and guide the Spirit.